MOON TOWNSHIP -Students had the opportunity to talk to future employers at the STEM Career Fair held at John Jay Center on Oct 25. Among the companies that were present were CGI, CJL Engineering, FedEx, Highmark Health, Rebdev LLC and many others. 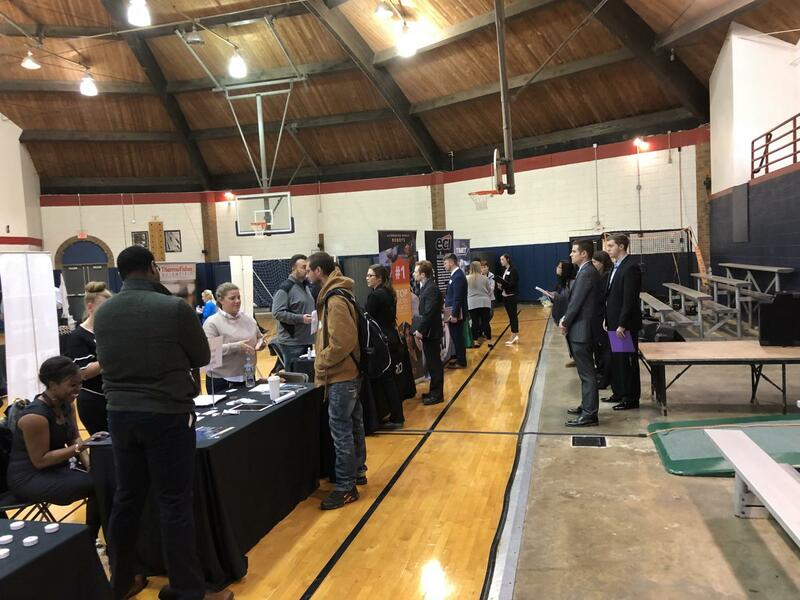 Many local and national companies visited the campus, looking to talk to students about the jobs and internships that were offered. Students were not the only ones who were impressed at the fair. Danielle D. Holt, Founder/CEO of Rebdev, LLC and a graduate of Robert Morris University, says that she was really impressed with the students she met at the event.